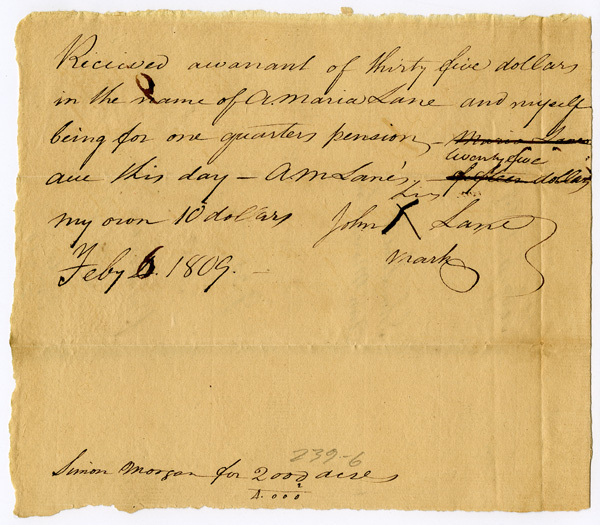 Receipt for pensions for John Lane and Ann Maria Lane. 6 February 1809. Manuscript. Auditor of Public Accounts (Entry 230), RG 48. State Pension Records. Library of Virginia.